I miss seeing Peter Gammons regularly on ESPN. Here he visits Morning Joe and discusses the new season, including the challenges facing the New York Yankees and the potential of the Washington Nationals. Will the Nationals Shut Down Stephen Starsburg? Should they? It’s been one of the franchise’s biggest questions since before the season even began: Will the Washington Nationals shut down Stephen Strasburg? If so, after how many innings? And even if the team is in the midst (or at the front) of a pennant race? Since the preseason, it’s been floating around that the team would shut down their ace after 160 innings. Strasburg underwent Tommy John surgery toward the end of the 2010 season before returning to throw just 24 Major League innings in September, 2011. Throughout the season, the Nationals have maintained the line that they would limit Strasburg’s innings regardless of their position in the standings. But now, with Strasburg having logged 127.1 innings and the Nats sitting at 67-43—the best record in the National League—the moment of truth has finally arrived. Perhaps protecting Strasburg’s arm for years to come is the right decision, it’s not going to change our culture of instant gratification. And while it’s easy to understand why the team would rather wait and see what their ace can bring them in years to come, there is an argument to be made for letting him off the leash. On Saturday, ESPN’s Beth Ann Clyde and Eli Marger laid down their case for letting Strasburg play. First off, Clyde and Marger analyzed the stats of the 20 pitchers since 2001 who have fit a profile similar to Strasburg’s: they had to be 23 years of age or younger and in the midst of their first season throwing more than 150 innings. They found that there was no major statistical differences in those pitchers’ performances from the beginning of the season through the end of July and August through the season’s end. Secondly, they looked at two cases of young pitchers who underwent Tommy John surgery—A.J. Burnett and the aforementioned Zimmerman—and argued that they actually got better than time, not worse. 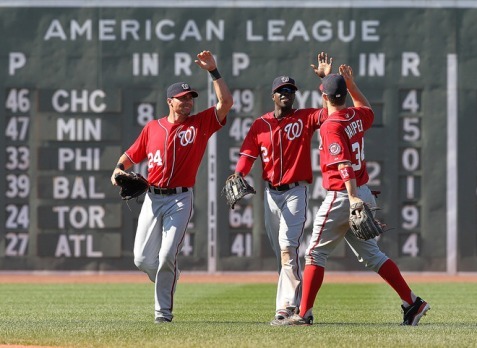 Of course, the Nationals may be worried less about stats and more about Strasburg getting hurt. The fact is we won’t ever know which is the right way to go. 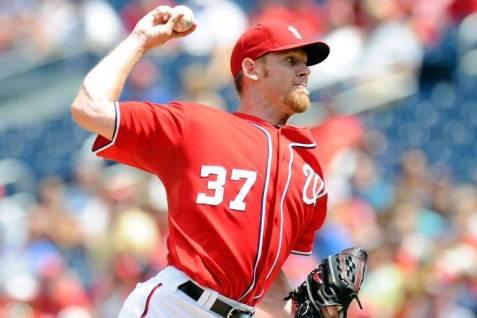 Strasburg is likely going to sit, and we won’t ever know what could have been. Follow the writer on Twitter @NateKreichman. There’s been a lot of discussion lately of how the Washington Nationals might shut down phenom pitcher Stephen Strasburg after he reaches 160 innings even if they’re in contention for the pennant. While the debate is understandable given his past injuries, it still highlights the differences in the expectations for modern pitchers versus some of the all-time greats. Consider the career of Robin Roberts, the great Hall of Fame pitcher for the Philadelphia Phillies. Roberts played for 19 seasons and compiled a 286–245 record with 45 career shutouts. He notched a lifetime ERA of 3.41, along with a staggering 305 complete games and 4,688⅔ innings pitched in 676 games. Even in a era when pitchers were expected to complete games and pitch on only four-days’ rest, Roberts was known for his incredible stamina. When interviewed after Roberts passed away, his teammate and fellow Phillies starter Curt Simmons said, “He was like a diesel engine. The more you used him, the better he ran. I don’t think you could wear him out. The end of the 1950 season, I was in the Army and I think Bob Miller had a bad back. I know Robin had to throw almost every day.” In a six-year span starting in 1950, Roberts won 20 or more games and pitched at least 304 innings in six consecutive seasons. In many ways, Major League Baseball seems to be entering into a new era of the pitcher, as offensive production is decreasing and the game is once again being dominated by great pitchers like Strasburg. But it’s doubtful we’ll ever see workhorses quite like Robin Roberts again. Even the great Jack Morris pitched his amazing 10-inning game winner in game 7 of the World Series over 20 years ago. For the second time in three days, baseball lost one of its foremost gentlemen. Robin Roberts, as pleasant and gracious as any man in the game, died Thursday. As readily associated with the Phillies as any player has been with any franchise, Roberts was 83 years old when he passed away in Florida due to natural causes. The most accomplished right-handed pitcher in the history of the Phillies, Roberts was a Hall of Famer, card-carrying member of the 1950 “Whiz Kids” and an active force in the creation of the Major League Baseball Players Association. Most of all he was an agreeable, genial man whose company was enjoyed by those who met him. Like many players of his era, Roberts was a World War II veteran who broke into the big leagues after the war. He actually went first to Michigan State where he played basketball, but then tried baseball and was signed by the Phillies in 1948. In 1969 this seven-time All-Star was named as the greatest Phillie of all time. When you consider what it takes to have a Hall of Fame career, durability, excellence and class are some of the most important characteristics. With his career and his life off the field, Robin Roberts should be an enduring example to the modern player. And while modern team General Managers try to protect “investments” like Strasburg, they should be reminded that the true great will rise to the challenge, if you let them.